Rudy is so full of personality and glowing with enthusiasm. If we’re having a bad day, all we need is to spend some time with Rudy, he’ll be sure to have us laughing in no time. 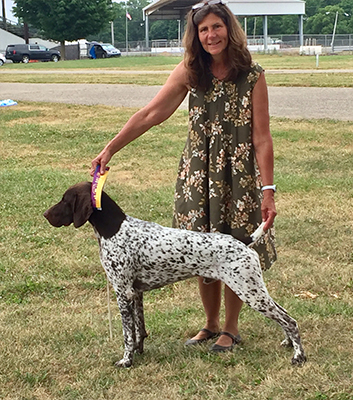 Rudy achieved his Championship at the GSPC of MI Specialty Show for his final major. 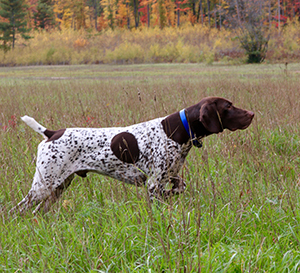 In the field, Rudy certainly has all the abilities you want to see in a good hunting companion. 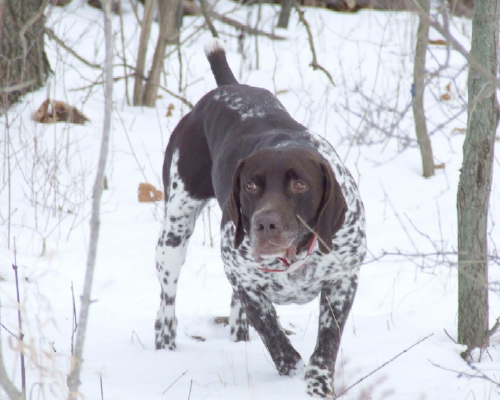 He’s accompanied us to Iowa for pheasant hunting for the last four years and he’s with us on every trip we make to northern Michigan for grouse and woodcock. He has a beautiful staunch point and the nose to go with it. 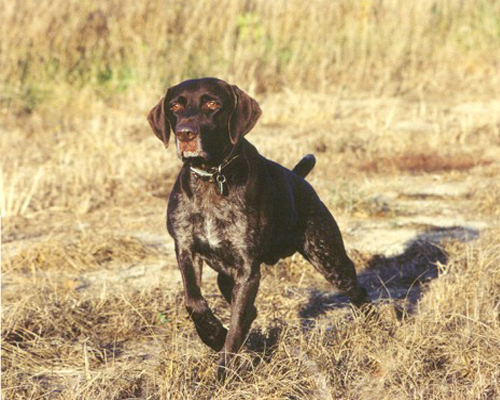 He takes on every task without hesitation and always with determination and desire. He’s intelligent and has been very easy to train and I believe that’s due to his willingness to please. Rudy will run in Masters this spring and UT again in the fall; we expect a lot out of this guy and I’m sure we won’t be disappointed. 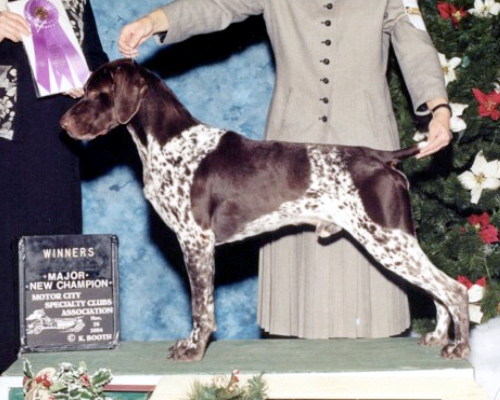 Coney is the result of breeding our last vials of our beloved Sonny to GCH Isabella Dual Fuel NA Pz 1. We realized we were not replacing our Sonny but were anxious to have one of his off-spring with some new (to us) bloodlines included…then came Coney. His personality is everything we could have hoped for; he is as sweet as can be and LOVES everyone! I started showing him in the spring and it was soon clear that he was a great prospect to become a champion. 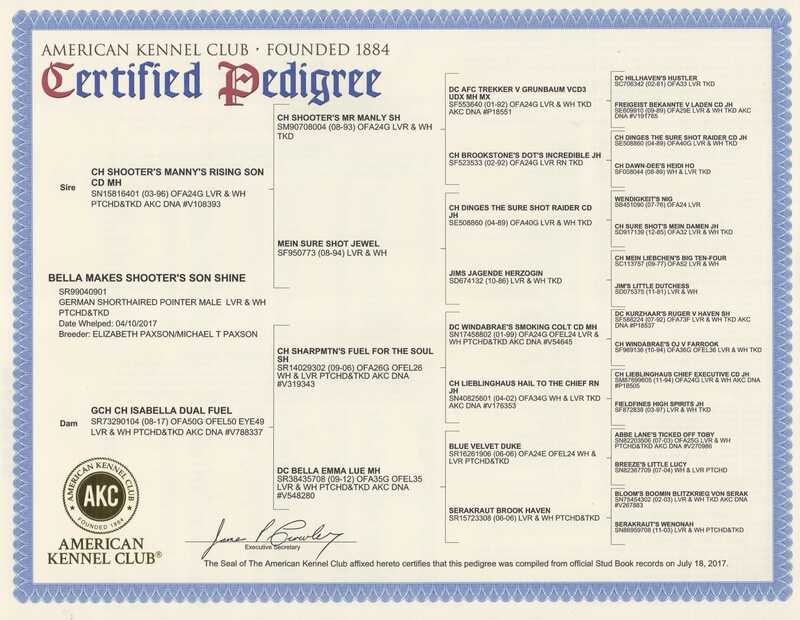 On September 8th he did just that…with limited times in the ring, Coney is now an AKC Champion. 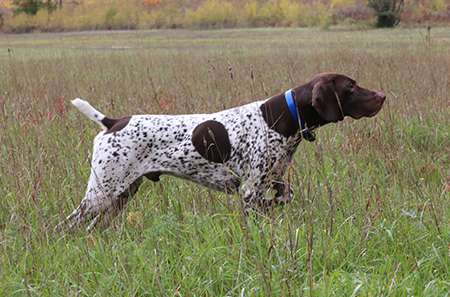 During this same time frame, Pete ran Coney in NAVHDA’s Natural Ability test where he earned a Prize 1, max score. 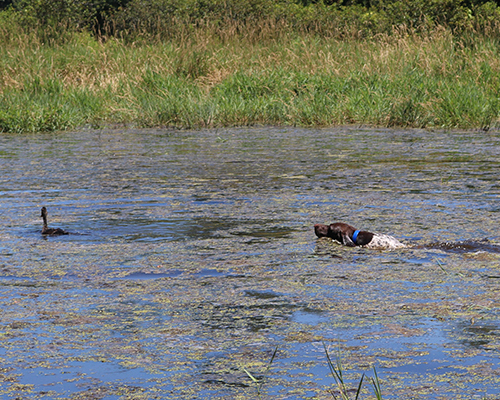 Not only that, but out of 8 pups in the litter, 7 earned a Prize 1 and 1 with a Prize 2. It’s nice to see such consistencywithin the entire litter; Thank you Liz & Mike Paxson for choosing Sonny to breed with your beautiful Izzy. 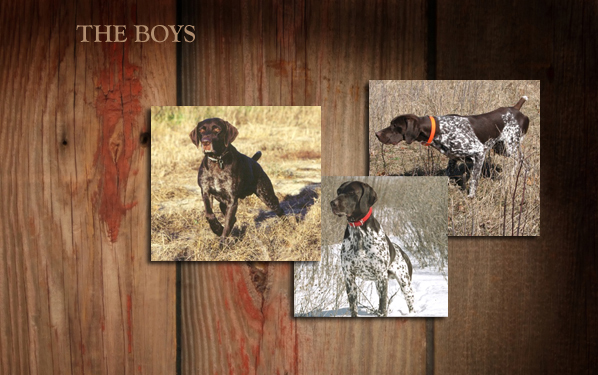 We can't wait to see what's in store for this handsome boy! 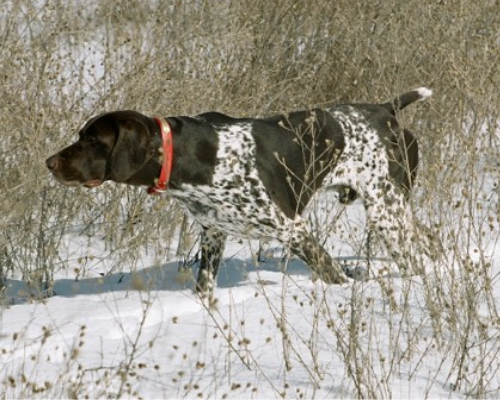 Woody was an outstanding dog in all aspects. He had a superb nose, very stylish/intense point, natural backer and beautiful conformation. 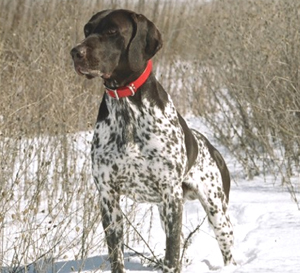 Woody was from our very first shorthair (Dottie) and one of our repeat breedings to Trekker who is also the sire of our youngest dog, Jazz. 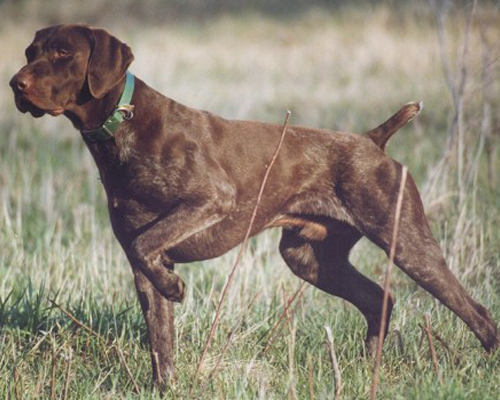 We have been very fortunate with bloodline and Woody was one of the early ones that keep us in this direction. 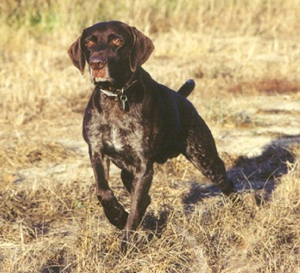 Woody was 14 when he passed and will always be missed....he was my buddy and was by my side all through my learning of how to train a dog for NAVHDA. 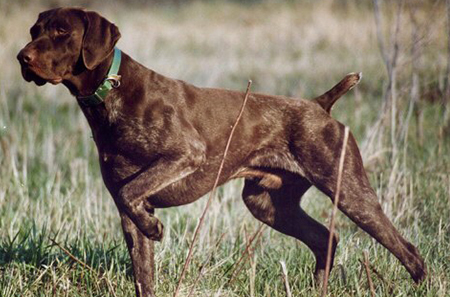 He was my first dog to run through Natural Ability, Utility Prep and Utility where he earned a Prize 1. I will cherish my memories of Woody for the rest of time.